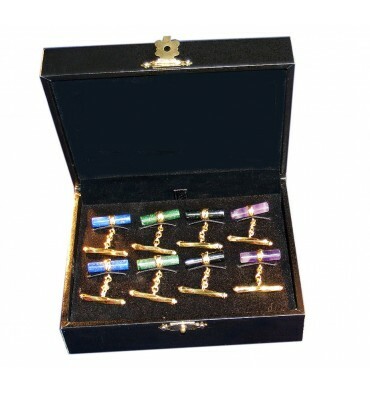 We are offering here a most attractive pack of 4 pairs of cufflinks. 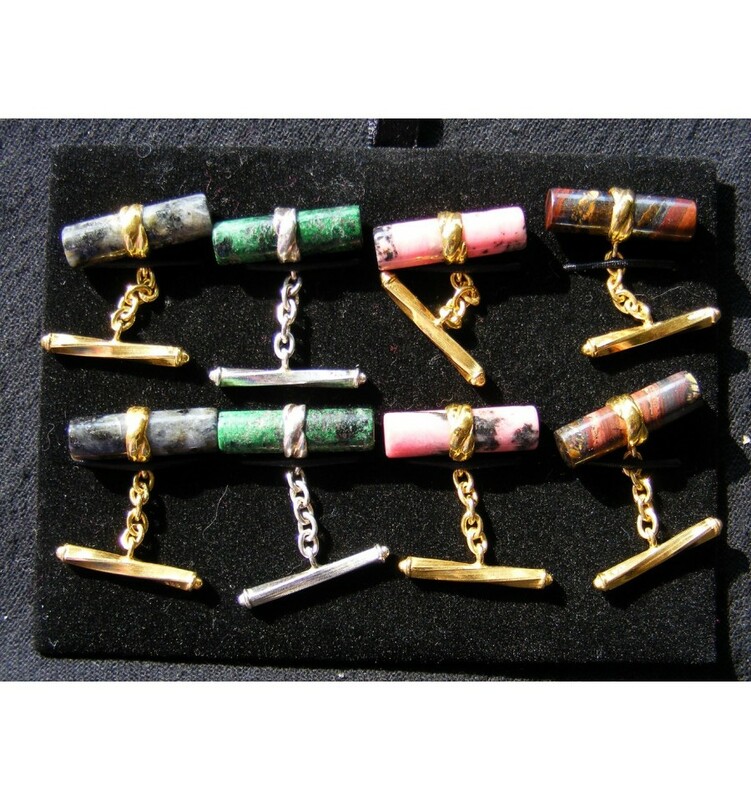 Your choice of any 4 pairs of Regnas cylinder chain & shank cufflinks either silver or gold plated silver. This will make a truly memorable, attractive and valuable gift. When you choose the pairs, we suggest you choose your top 5 choices in case one pair may be out of stock. 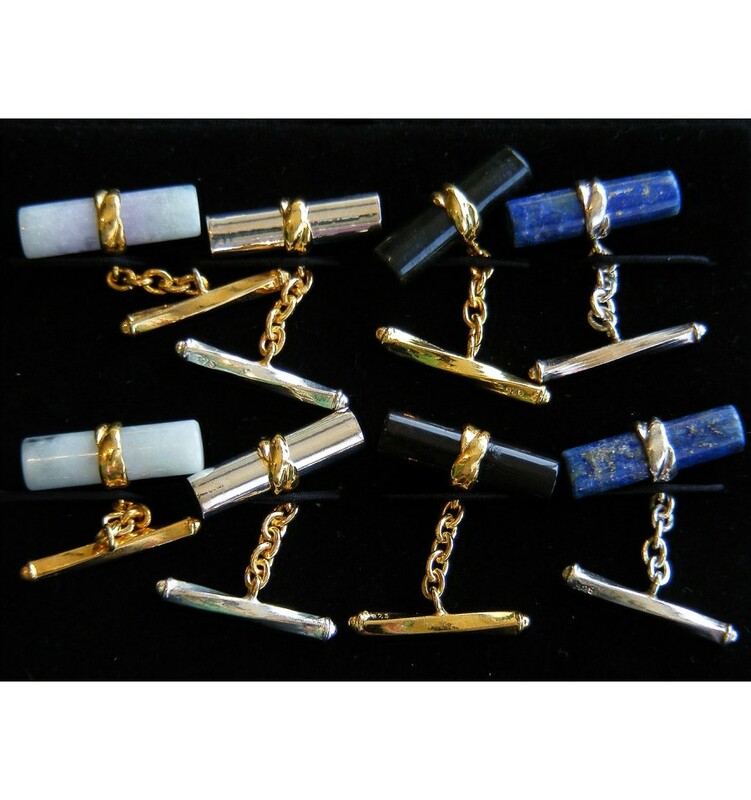 Please remember that most cylinder cufflinks are stocked in sterling silver and also gold plated sterling silver. At this price the pure gold imperials are not included. However we will be happy to quote you for an all gold pack! The pack includes a special and useful cufflink case. The top layer display of 4 pairs is removed to reveal a large cufflinks storage area beneath. Free Worldwide, registered delivery includes full insurance and complete 30 day replacement and refund warranty.